Here at Manmachine Works, cleaning is our specialties and identity- we proudly boast that we hold extensive expertise in the field of cleaning. We give a wide range of car cleaning options starting from designing and consultancy services to an array of solutions and products tailor-made for variations of applications. We are one stop solution for all your requirements related to the cleaning and maintenance of your car. We are professional car cleaners and take care of your car with ultimate protection and quality products. 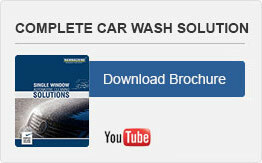 MMW is an innovative car cleaning company. We hold a reputable position in the market because we deliver only THE BEST car care products in both terms that is quality and performance. All our products and services are exactly the same what the Indian market is in search of. We offer services including car wash, car paint protection, underbody cavity treatment, upholstery cleaning, steam wash, foam wash, and many others. We have exclusive automatic car wash solutions using steam car wash machine to deliver up to 200 shining cars every day. All our products are biodegradable and environment-friendly. Car Wrapping is our forthcoming innovation in car care that protects your car from scratches and keeps it forever shining and new. We guarantee you delighted customers from your outlets. Specialized cleaning service is carried by the hands of professionals through latest equipment like high pressure car washer, automatic car wash system, steam washer, car washing pumps, car polishing machine and many more you can see at the outlets. With the changing scenario, we try to change and modify our working strategies. We ensure regular maintenance of our machinery under the supervision of technicians and professionals. MMW is a cleaning business whose foundation was laid by Anil Sethi & Rupali Sethi in 1987. It is a journey built upon the success of over 32 years of hard work. Today, MMW is proud to cater best in quality services across different locations as innovative company efficiently driven by man and machine together. We strongly recognize the need and value of training, mentoring and supervising the professionals for imparting better-quality work. We create a depth of understanding of the usage of machinery, products and the work at hand. MMW is a company built with strong dedication, loyalty, and trust. Over the decades we have established our skilled and smart teams by providing comprehensive training and proper support.